The fault lies outside: “Perhaps Iranian President Hassan Rouhani realised that there was no bad faith on India’s part with regard to the efforts it had made to address the issue of delay in payments.” PM Modi with Mr. Rouhani in Tehran. Prime Minister Narendra Modi’s visit to Iran a month ago was significant on all counts. As he himself said: “…[the] visit was fruitful” and it is sure to have had a positive impact. The discussions signalled an eagerness by India and Iran to promote bilateral ties. Twelve agreements were signed, the most strategic of them being the one for the development of Iran’s Chabahar Port. Before the visit, several policy analysts flagged important issues in areas such as energy and trade, with the most troublesome of them being India’s delay in remitting oil dues estimated at $6.5 billion for crude supplies made in recent years. Hurried arrangements were made to remit a sum of $750 million days prior to Mr. Modi’s visit. Most surprisingly, it appears that the issue did not come up for discussion at all. From the press briefing by Mr. Modi and Iranian President Hassan Rouhani, it was clear that both had convergence on the extraordinary situation created by the U.S. until the conclusion of the Joint Comprehensive Plan of Action (JCPOA) — the international agreement on the nuclear programme of Iran reached in Vienna in 2015 between Iran, the P5+1 (China, France, Russia, United Kingdom, United States plus Germany), and the European Union — leading to the lifting of sanctions against Iran. A close look at the delay in payments by India will show that it was attributable solely to U.S. sanctions. Perhaps, Mr. Rouhani realised that there was no bad faith on India’s part with regard to the efforts it had made from time to time to address the issue. ***What is China-Pakistan Economic Corridor all about? Is China about to transform Pakistan? The unanimous consensus in Pakistan is that it is, and quite comprehensively too. Since April 2015, the term which has probably received far greater traction in the print and electronic media, more than any other, is “game changer”. 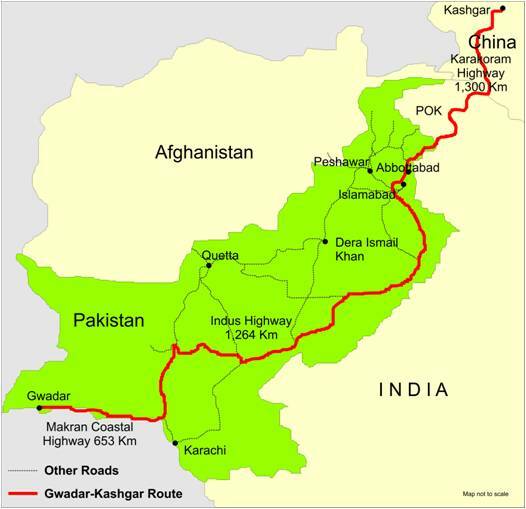 The “game changer”, which government officials, military generals, diplomats, journalists and a host of other observers refer to, is the $46 billion China-Pakistan Economic Corridor (CPEC) project, an overland route which is to run from Kashgar in China via Khunjerab Pass (POK) to Gwadar in Balochistan, on the edge of the Persian Gulf, in Pakistan. This Economic Corridor has been called a “game changer” and even a “fate changer” by an overly enthusiastic Pakistani press and government; with some analysts even saying that this $46 billion “unprecedented” Chinese investment over the next decade-and-a-half will make Pakistan the next Asian Tiger. For China, it provides an alternative route for energy supplies from the Middle East and Africa, without having to traverse through maritime route through in South East Asia, which is longer and prone to interdiction. The China-Pakistan Economic Corridor (CPEC) consists of a package of Chinese infrastructure investments in Pakistan worth $ 46 billion, and is the flagship project of China’s “Belt and Road” development framework. Chinese Premier Li Keqiang had unveiled the CPEC concept two years earlier during his May 2013 visit to Pakistan, and its key importance for the “Belt and Road” initiative is that CPEC connects the Silk Road Economic Belt with the 21st Century Maritime Silk Road. CPEC consists of 1800 miles transportation corridor of roads, railways and pipelines, which will connect the Chinese-operated Pakistani port of Gwadar on the Arabian Sea with the Chinese province of Xinjiang via Khunjerab Pass. For China, it provides an alternative route for energy supplies from the Middle East and Africa, without having to traverse through maritime route through in South East Asia, which is longer and prone to interdiction. Two decades of meteoric economic growth has enabled China’s leadership to embark on a multi-faced modernization of the People’s Liberation Army. From 1995 to 2015 China’s defense budget maintained, on average, double-digit growth. Stockholm International Peace Research Institute estimates China’s 2015 defense budget at $214 billion, second in the world only to the United States. China’s military spending constitutes 48 percent of the total spending of all the nations in Asia and Oceania combined. ** Is our Afghan obsession finally over? 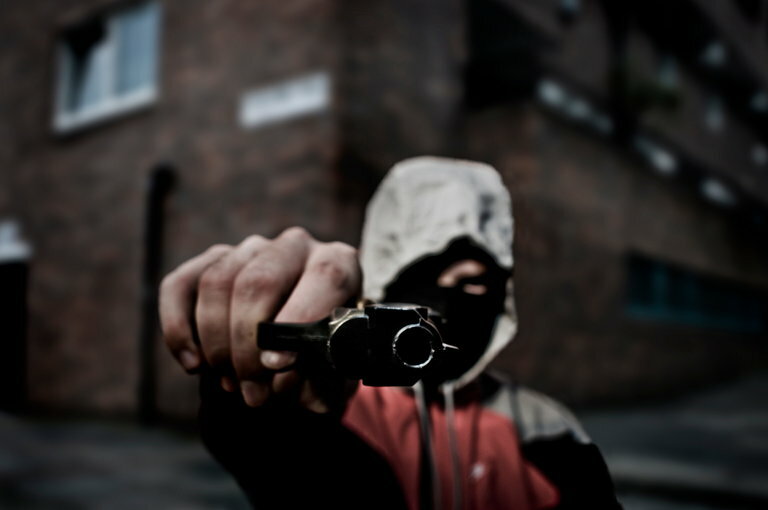 The question can be rephrased: is ‘strategic depth’ finally buried? We were idiots to get involved in that superpower adventure called the Afghan ‘jihad’. We understood not its ramifications and long-term costs, starry-eyed generals nurturing dreams of Pan-Islamic glory on the back of unrealistic expectations. Even under Gen Raheel Sharif we clung to the pipedream that Pakistan could deliver the Taliban to the negotiating table. This is the impression we conveyed both to the Americans and the Afghans. And when we couldn’t deliver we had to suffer the blowback, both the Americans and the Afghans accusing us of playing double games. Indeed, we have learned nothing from our Afghan experience. The so-called mujahideen whom we had pampered and fed throughout the Afghan jihad wouldn’t listen to us when they seized power in Kabul. The Taliban whom we had supported wouldn’t listen to us beyond a point when they became rulers of Afghanistan. So what led the Afghan experts in the general staff and the ISI to think that we could carry them to the negotiating table? Experience, and bitter experience at that, has proved that there is no benefit, no possible advantage, in nurturing Afghan assets – like the Haqqanis or Hikmetyar or anyone else – in the belief that we can somehow become the chaudries of Afghanistan. We never succeeded in the past and we won’t succeed in the future. China helped Vietnam against the French and the American. That didn’t turn Vietnam into a satellite of China. We know what India did for the creation of Bangladesh. The Awami League is pro-India but Bangladesh as a whole is no satellite of India. We in India tend to associate Switzerland with fresh-faced girls in dirndls on a beautiful hillside, or with a cabal of silent bankers, but it is in fact a much more interesting country than those clichés might imply. For one, they decide on policy by referendums — if a hundred thousand Swiss sign up to request that there be a vote on a particular reform, the results of the vote are binding on the government. 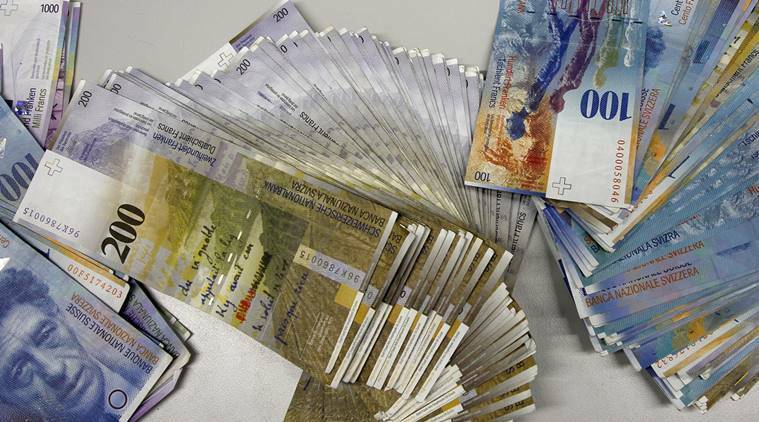 The most recent round of referenda included one that was widely watched across the world — the proposal was to guarantee every adult citizen and long-term resident 2,500 Swiss francs (Rs 1.75 lakh, give or take a few) per month as a Universal Basic Income, irrespective of any other earnings they might have. In other words, it’s money you are entitled to, whether you are rich or poor, whether or not you have a job that pays you enough to live on. It is what some people call an unconditional transfer — there are no strings attached. You can spend it on beer for your buddies, just as you can spend it on milk for your children. It is your money. Last month I had the opportunity to participate in a complex wargame as part of the Army’s Unified Quest series that was focused on scenarios in 2030 and 2050. There was much innovative thought on display as the hundreds of participants wrestled with the potential impact of new technology on future battlefields. I was mostly involved with a pseudo-Pacific scenario, but there were teams looking at other geographic areas as well. I was particularly struck by two different ideas: First, the U.S. Army’s historical role in cross-domain dominance will continue to be relevant even as new technologies make warfare more lethal and complicated. Second, for the Army to adapt to this future the toughest barriers to overcome will be legal, bureaucratic, and intellectual rather than technological. In 1943, Gen. Hap Arnold’s Army Air Forces staff wrestled with a letter from a mother concerned about the morality of the bombing operations her son was executing in Europe. They came up with a reply describing the challenges of restraining warfare in the modern age, which included the statement that “Law cannot limit what physics makes possible.” Military doctrine cannot defy gravity either. The importance of landpower in cross-domain dominance is ensured by physics, as well as by biology. What goes up, must come down. What leaves the land where people dwell must eventually return to it. It should not be surprising that among the Army’s many Wartime Executive Agency Requirements is the running of theater port facilities. There is palpable excitement in the air in the Prime Minister’s Office (PMO) and within the strategic community. The reason is not too difficult to guess. The PM has once again been on a whirlwind tour abroad, starting with Afghanistan and terminating in Mexico, covering Qatar, Switzerland, and USA in between. The six days, not counting the different time zones, witnessed close to 50 business meetings, not counting the gatherings with the Indian diaspora in the various cities that he visited. The main agenda in Switzerland, USA, and Mexico, apart from inviting the businesses of these countries to invest in India, was to garner support for the membership of India to the Nuclear Suppliers Group (NSG). 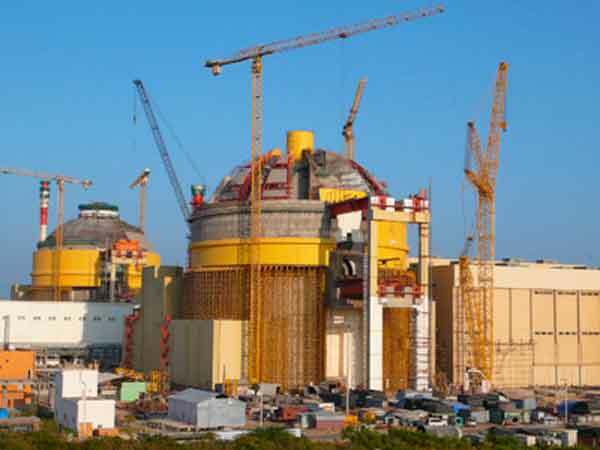 An inclusion into this group would give India a place at the high table where the rules of nuclear commerce are decided and, eventually, the ability to sell equipment. The Chabahar Tripartite Agreement signed in Tehran on May 23, 2016 between India, Iran and Afghanistan during PM Modi’s Iran visit signals the dawn of a new power- play though essentially economic initially, but with geopolitical implications. The Chabahar Tripartite Agreement signals the commencement of a new geopolitical power-play in which seemingly India, Iran and Afghanistan are willing participants cooperating for regional economic gains and connectivity, notwithstanding that such an initiative would rattle China and Pakistan. This Agreement signals possibly a new trend for this Century where geoeconomics will tend to predominate regional cooperative mechanisms initially, and where the strategic underpinnings will ultimately surface on full maturity of the initiating steps. The Chabahar Agreement between India, Iran and Afghanistan with India in the lead provides a stark contrast to the China-led China Pakistan Economic Corridor whose main determinant is not geoeconomics but outright strategic foreplay to keep-out or limit India’s and the United States’ influence from Greater South West Asia. NEW DELHI—From the waters of the Philippine Sea this week emerged a partial outline of Washington’s vision for a new Asian maritime-security order that unites democratic powers to contend with a more-assertive and well-armed China. Prime Minister Narendra Modi’s event-filled visit to the United States, from June 6-8, has just ended, though his oratorical flourishes during his address to a joint meeting of the U.S. Congress still reverberate across the globe. The 3,800-word Joint Statement is available with the public. Ignoring the euphoria is not easy but due diligence about outcomes may be in order. We need to make a distinction between good copy and finite results. The Prime Minister came through as more restrained this time when compared to previous occasions. An exception was his address to the U.S. Congress. Even here, the Prime Minister was more statesman than politician. For instance, Mr. Modi displayed a high degree of strategic wisdom in not launching an attack on China by name. Nor was there any criticism of the U.S. for implicitly acquiescing in Pakistan’s employment of terror as a strategic instrumentality vis-à-vis India. The Prime Minister was also careful not to highlight the difference in approach between Capitol Hill and the U.S. administration with regard to Pakistan’s record on terrorism, and the sale of F-16 fighter aircraft to that country. Analysing the main components of the Prime Minister’s visit viz. his bilateral meeting with U.S. President Barack Obama, his address to the U.S. Congress, his meeting with the U.S.-India Business Council and also the contents of the Joint Statement, it is undeniable that a great deal of ground was covered. Nevertheless, it would be difficult to endorse the sentiment set out in the Joint Statement: of the two countries providing “global leadership on issues of shared interest”. Visuals of the high-level bilateral meeting between Mr. Modi and Mr. Obama — though visuals do not necessarily reflect the atmosphere at such meetings — also give the impression that it lacked “the spark” of previous encounters. 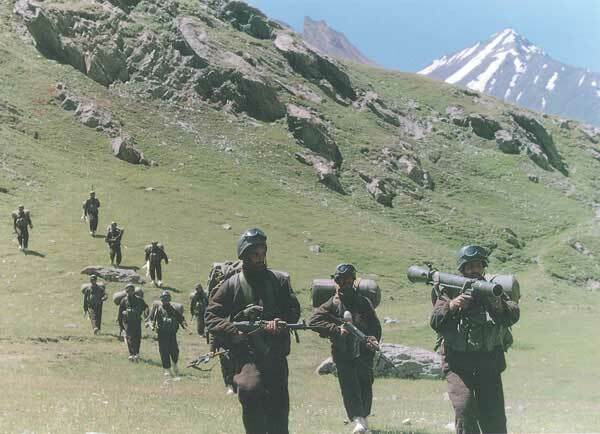 In fact, the Taliban representatives have met with the Afghan Government only once, in the intervening night of July 7 and July 8, 2015, in Murree in Pakistan, with an agreement to meet again on August 15 and 16, 2015, in the Qatar capital, Doha. However, the talks quickly collapsed as the Afghan government on July 29, 2015, disclosed that Mullah Mohammad Omar, leader of the Taliban, had died in April 2013 in Pakistan – a fact that both the Pakistani agencies and the Taliban leadership had kept secret, even as they continued to manipulate Mullah Omar’s identity, issuing several statements on his behalf. Subsequently, the Taliban split into two factions – one led by Pakistan’s nominee, Mullah Akhtar Mansour and another by Mullah Mohammad Rasool. Moreover, the Taliban failed to attend the fifth meeting of the Quadrilateral Coordination Group (QCG) involving Afghanistan, Pakistan, China and the United States, that was held in Pakistan’s capital city, Islamabad, on May 18, 2016. The QCG reiterated that violence served no purpose and that peace negotiations remained the only option for a political settlement, and the various QCG countries reaffirmed that they would use their respective leverages and influences to these ends. The first meeting of the QCG was held in Islamabad on January 11, 2016; the second in Kabul on January 18, 2016; the third in Islamabad on February 6, 2016; and the fourth in Kabul on February 23, 2016. 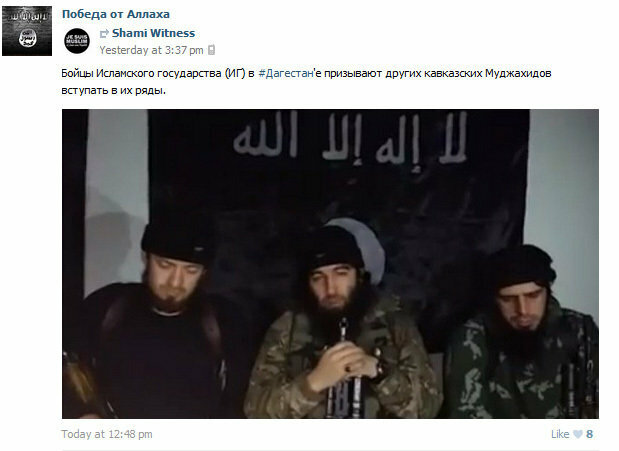 A screenshot from a pro-ISIS online group on the Russian social network VKontake, which has many Chechen members who have been targets of Islamic State propaganda. WASHINGTON — AFTER a terrorist attack like the one in Florida on Sunday, one of the first questions people always ask is: Why? Why would someone take the lives of innocent civilians who are total strangers? That is a question to which I have long sought an answer. But my search has led me instead to another question: Is an answer even possible? To try to figure out why terrorists do what they do, researchers at the think tank New America and I reviewed court records in more than 300 cases of people charged with jihadist terrorism in the United States since Sept. 11, 2001, ranging from relatively trivial cases, like sending small sums of money to a foreign terrorist organization, to very serious ones, like murder. I have also spoken to terrorists’ families and friends and even, in some cases, to the terrorists themselves. “Man is ruined”, wrote Salman Rushdie, “by the misfortune of possessing a moral sense”. Though some beasts were odious, even dangerous, he conceded, “a jackal is a jackal, and a leopard is a leopard, and a boar has no option to be boarish one hundred per cent of the time”. “Only Man’s nature is suspect and shifting. Only Man, knowing good, can do evil. Only man wears masks. Only man is a disappointment to himself”. 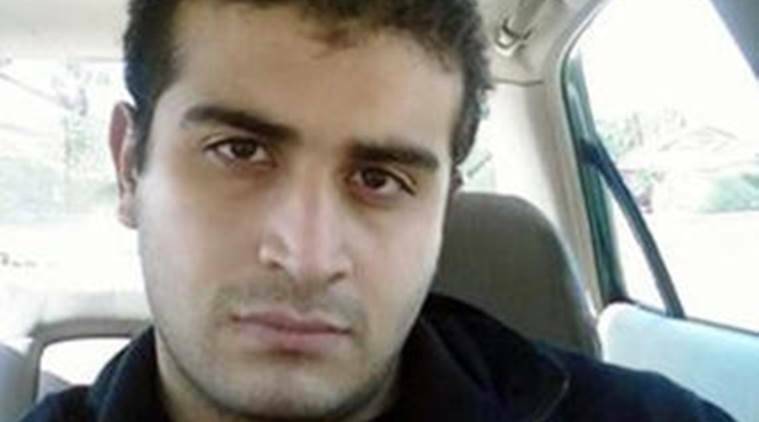 For Omar Mateen, author of the largest terrorist killing in the United States since 9/11, that sentiment may have been familiar: A failed marriage to a woman who could not be battered into submission; a hoped-for law-enforcement career that never took off; above all, sexual urges he loathed in himself. Killing is redemption: In recent years, this script has played out often with so-called Lone Wolf terrorists drawn from the Muslim diaspora in the US and Europe. The attack in Orlando is certain to have seismic political impact, and makes it imperative to carefully examine just what is going on. The United States needs to bear down on a comprehensive strategy to defeat ISIS globally in the aftermath of the terrible June 12 tragedy in Orlando, Florida. To be sure, no such effort can reliably prevent all such future attacks. But moments like these require that we reassess and reinvigorate our strategy against a serious, global threat to our nation and our allies. Some will say that ISIS overachieved here, or that Omar Mateen was more a deranged individual than an ISIS operative, or that recent battlefield progress by the United States and its partners against ISIS in Iraq and Syria will soon lead to the group’s demise. None of these arguments is compelling as a case for complacency. What Mateen did, even if it is the bloodiest single shooting spree in U.S. history, is entirely repeatable by well-trained individuals with access to weapons like the AR-15. Mateen was perhaps deranged, but he also was apparently pushed over the edge by the allure of joining a broader ISIS-inspired movement that finds legitimacy in doctrines of hate, and takes purpose from creating mass-casualty events in the name of some perverted interpretation of Islam. It could, and probably will, happen again. Yes, a combination of Iraqi forces, U.S. and coalition airpower, Kurdish fighters, Sunni tribesmen, and Shiite militias has taken back perhaps 40 percent of Iraqi territory and 20 percent of Syrian territory previously held by ISIS. ISIS may have lost up to half its revenue in those two countries as well. But the cities of Raqqa and Mosul remain firmly in ISIS hands. Over the last year or two, moreover, ISIS has deepened its roots from the Sinai Peninsula to Libya, established tentacles from Azerbaijan to Afghanistan and into Southeast Asia, and gained a powerful affiliate in the form of the Boko Haram movement in Nigeria. It may be down, but it is hardly out. There are still four and a half months to go before the presidential election. But there’s a vote next week that could matter as much for the world’s future as what happens here: Britain’s referendum on whether to stay in the European Union. Unfortunately, this vote is a choice between bad and worse — and the question is which is which. Not to be coy: I would vote Remain. I’d do it in full awareness that the E.U. is deeply dysfunctional and shows few signs of reforming. But British exit — Brexit — would probably make things worse, not just for Britain, but for Europe as a whole. The straight economics is clear: Brexit would make Britain poorer. It wouldn’t necessarily lead to a trade war, but it would definitely hurt British trade with the rest of Europe, reducing productivity and incomes. My rough calculations, which are in line with other estimates, suggest that Britain would end up about two percent poorer than it would otherwise be, essentially forever. That’s a big hit. There’s also a harder to quantify risk that Brexit would undermine the City of London — Britain’s counterpart of Wall Street — which is a big source of exports and income. So the costs could be substantially bigger. What about warnings that a Leave vote would provoke a financial crisis? That’s a fear too far. Britain isn’t Greece: It has its own currency and borrows in that currency, so it’s not at risk of a run that creates monetary chaos. In recent weeks the odds of a Leave vote have clearly risen, but British interest rates have gone down, not up, tracking the global decline in yields. Brexit: What’s at Stake for US Security Interests? On June 23, 2016, a referendum will decide whether Britain will leave the European Union (EU) or remain a member. Britain’s departure from the EU would affect the rest of the world, because it would have implications for a broad spectrum of international concerns–very importantly, international security. For the United States, Britain remains among the most important allies across the security spectrum, but the prospects of a Brexit leave the future of UK-US security cooperation uncertain. In this piece, Walter B. Slocombe explores how Britain leaving the EU would affect US security interests, both directly and indirectly, from the secondary effects of the departure on other international relationships. Slocombe outlines the probable adverse effects a Brexit would have on Britain’s ability to maintain its international clout; the strength of the European Union’s diplomatic and foreign policy agenda; and Britain’s relationship with NATO. The horrible tragedy in Orlando is rightly focusing attention on the threat posed by lone wolf terrorists—that is, radicalized individuals or couples who carry out attacks like those in Boston, San Bernardino, and Orlando. Yet there is a greater threat to the national well-being from small groups of terrorists, we can call them wolf packs, that could bring much greater carnage. If America's Muslim community is scapegoated and ostracized, the wolf pack threat will grow. The idea of lone wolf attacks goes back well before the emergence of the self-styled Islamic State two years ago. The New Mexico-born radical Anwar al Awlaki urged individual Muslim Americans to carry out mass casualty attacks years ago. His English-language web magazine “Inspire” was the vehicle for self-radicalized extremists to learn how to make bombs and conduct violent jihad. The Fort Hood shooter was his disciple. Awlaki's message is still virulent despite his death by drone in Yemen in 2011. 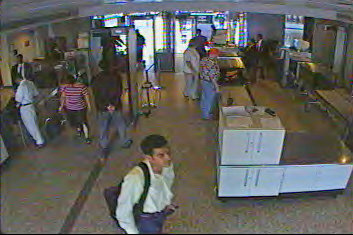 More recently, Hamza bin Laden, the son of al-Qaida's founder, has issued two messages from his hide-out in Pakistan urging lone wolf attacks in Europe, America and Israel. The first came out a year ago and included the endorsement of Ayman Zawahiri. The second came out last month.